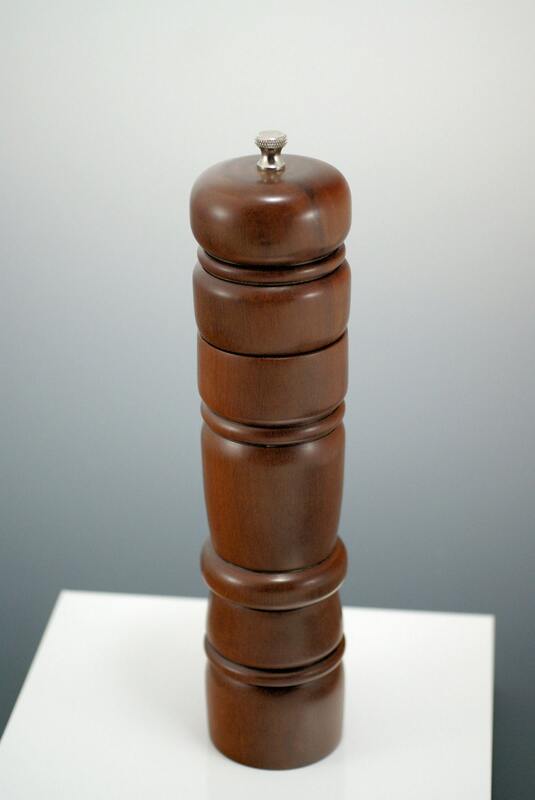 This hand made wooden pepper mill is made from Zapote wood and has USA made stainless steel parts. I may use wood from other countries but will only use American made parts when they are needed. 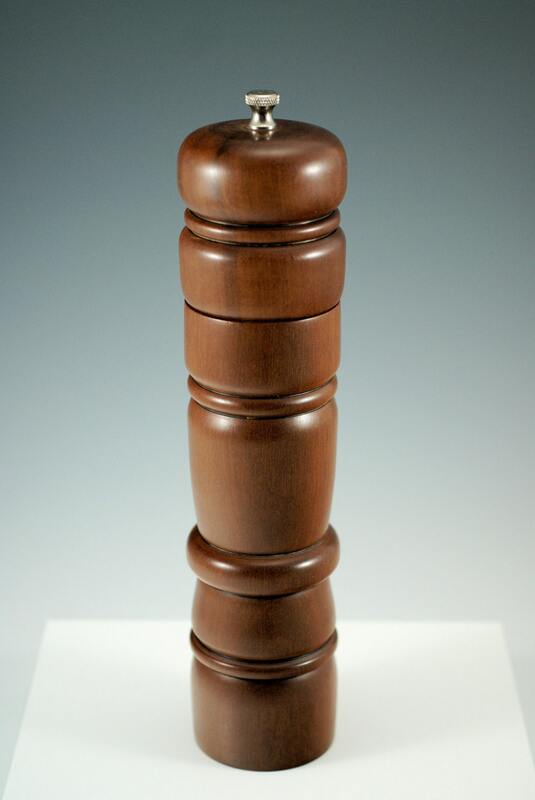 This is a large pepper mill and the dense wood makes it feel as substantial as it is. This would be a perfect gift for that special man in your life, especially if he like to cook or barbecue. It is 12" tall by 2 1/2" in diameter and weighs 1 lb. 7.3 oz. Tapped for chicle (chewing gum) since the reign of the Mayan civilization, Chico Zapote has been a diverse resource for the indigenous peoples of Central America. From its delicious fruit, to commercial grade chewing gum, to the extremely dense and strong wood for construction, this tree has helped shape the region. The Maya prized it for structural beams because of the tremendous strength, as well as it’s resistance to termites. The tree contains triterpenoids which makes it highly resistant to insects and rot. Beams have been found still intact in Mayan ruins. Chico Zapote is not easily worked by hand. 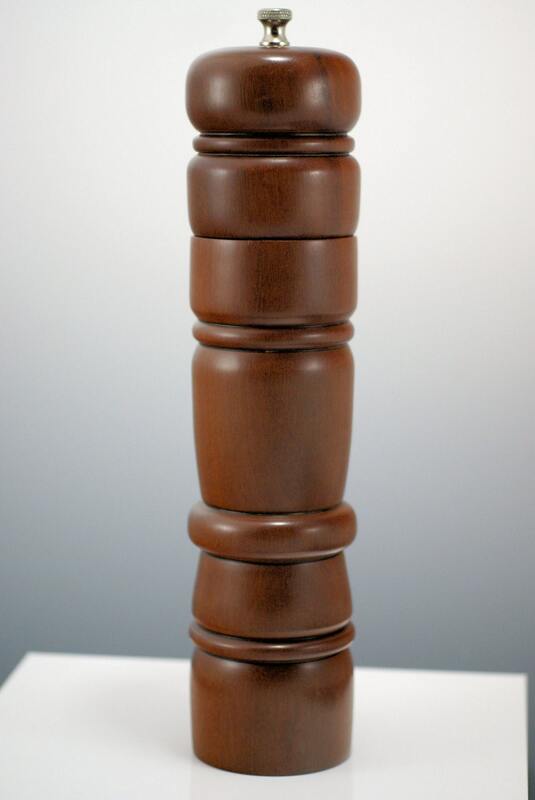 This wood turns well at high speeds and is able to take a high polish. 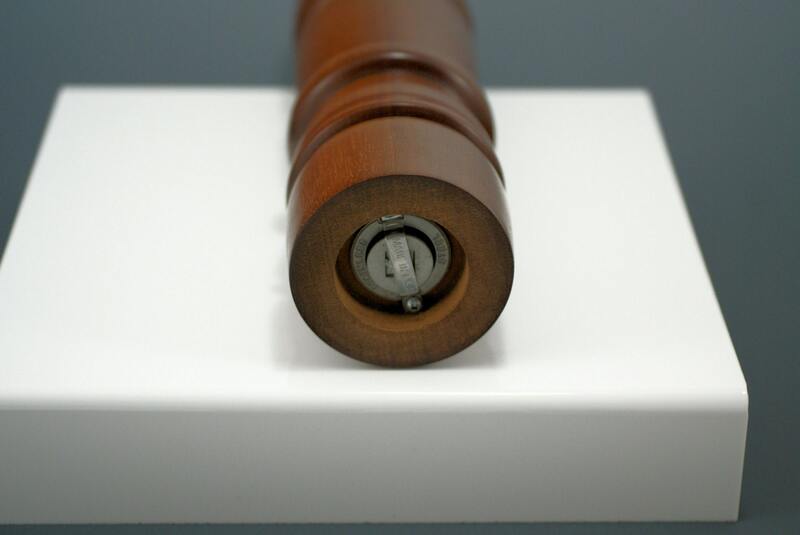 It has a typical straight grain with fine texture. This timber is limited on the market partially due to felling prohibitions of the tree in the Yucatan (principle growing region) as an effort to protect the local chicle market.